At Nomad Capitalist, we aim to help people go where they’re treated best. That is why we created an index of top destinations worldwide, shortlisting 100 places based on seven factors that substantially impact ease of settling in and general well-being. The result is one of the most comprehensive rankings of its kind to date. The Nomad Quality of Life Index was designed to help nomads and perpetual travelers discover the best “home bases” based on a variety of criteria deemed important by our high-end clientele. This vibrant city ranks #1 on our list as it offers great personal freedom, safety, and diversity to everyone living there. 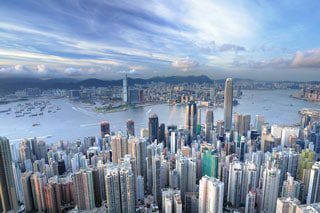 Doing business in Hong Kong is easy and straightforward. The city also offers a variety of different entertainment options with many cultural events and activities happening every day. The exotic city of Dubai offers high levels of safety for both its citizens and tourists. 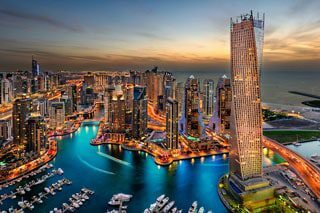 There are many different events happening every day and the city is filled with numerous restaurants and bars, making the experience of living in Dubai even more entertaining. 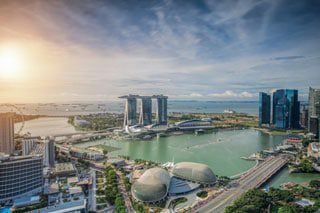 The cosmopolitan city-state of Singapore is ranked #3 on our list due to its extremely high levels of security and freedom. Singapore is open to various cultures and settling in is comfortable and easy due to a large expat community there that grows every day. 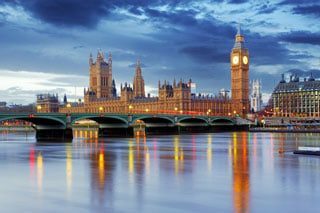 What it lacks in weather, London makes up for with its culture, entertainment, business environment, high internet speeds and open-mindedness. That is why it’s no surprise that the city is still one of the most popular places for relocation in Europe. Lisbon has established itself as a favorite hub in Europe for many in the expat and nomad communities. Citizens report high levels of personal happiness and the city’s location on the the beautiful coast of the Atlantic ocean are only some of the reasons why it’s popularity is rising. Apart from the fact that Malta offers breathtaking views of the Mediterranean sea, there are several reasons why it ranked so high on our list. The low cost of living, together with high levels of personal freedom and numerous entertainment options make Malta one of the most desirable places to live and visit. 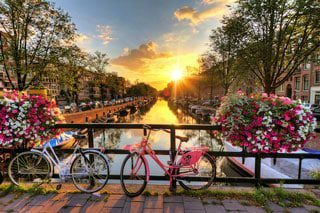 This charming Dutch capital is certainly one of the most popular tourist destinations in Europe. It is also one of the favorite locations for establishing a nomad base in Europe. The city is easily accessible – with over 70 airlines flying there every day – and provides fast connections and numerous restaurants, bars and nightlife options. All of this combined with high levels of personal freedom and happiness make Amsterdam a great place to be. This hidden gem of Caucasia has been rising in popularity the past couple of years. 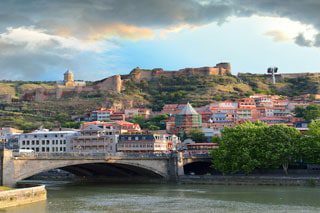 Tbilisi has an extremely low cost of living and doing business there is incredibly easy. The people are welcoming and friendly and very open to foreigners. It is no wonder that Tbilisi is among the Top 10 cities in our index. Kuala Lumpur is a lively city in Malaysia that is welcoming to everyone. High levels of security and freedom are only some of the reasons KL made it into the Top 10 on our Index. 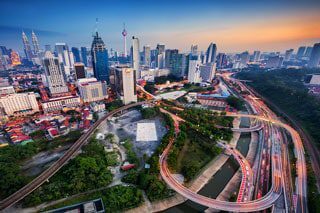 Conducting location independent business in Kuala Lumpur is easy as the city is very business-friendly. KL has an active expat community and is our personal favorite base in Southeast Asia. It is no surprise that this bohemian capital of Europe made it onto our list. 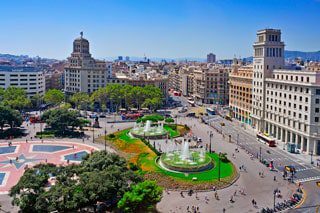 Barcelona offers lightning fast internet speeds (some of the fastest in Europe) and over 70 co-working spaces. Settling in is easy as people are warm and welcoming. Getting to and from Barcelona should not be a problem with over 100 airlines regularly flying there. The Index is the result of aggregating data from more than two dozen sources and indices based on priorities that Nomad Capitalist believes to be important for affluent entrepreneurs and investors when choosing one of their home bases. We used data from Akamai’s Internet Speed Report to determine internet speeds and reliability. We also considered the number of affluent-friendly co-working spaces and the work culture, including friendly hours of operation for co-working spaces, meeting places, and other establishments conducive to doing business. We calculated the number of airports, the number of airlines operating there, and the number of international destinations served, as well as the number and quality of airport lounges. We also considered international train travel available within the region. We relied on the data collected by the OECD Better Life Index, Numbeo Crime and The Economist Safe Cities Index. We utilized data from TripAdvisor and other travel and entertainment resources to determine the amount of entertainment, restaurant, and nightlife options of interest to affluent nomads. We first ranked destinations based on their English speaking population, with a score of 50 assigned to native speaking cities (e.g., London), 40 assigned to non-native speaking places with high populations of English speakers (e.g., Amsterdam and Kuala Lumpur), 30 to worldly cities/destinations where English may be used sporadically (e.g., Paris), 20 to places with little English but high usage of common secondary languages such as Spanish (e.g., Bogota), and 10 to ones with poor English skills overall (e.g., Moscow). We also considered overall friendliness of the population based on the experiences of our network and travel forum comments, LGBT friendliness as determined by the Nestpick 2017 Index, and personal happiness as determined by the World Happiness Report. For this criteria, we have taken into consideration several factors that an expat should account for when selecting a home base: the visa regulation of the country, business friendliness (easy processes for banking, ease of setting up a business), getting a second residency, and the tax policies of the country.